G2Z Law Group has developed an annual Saturday conference. Please see details below. 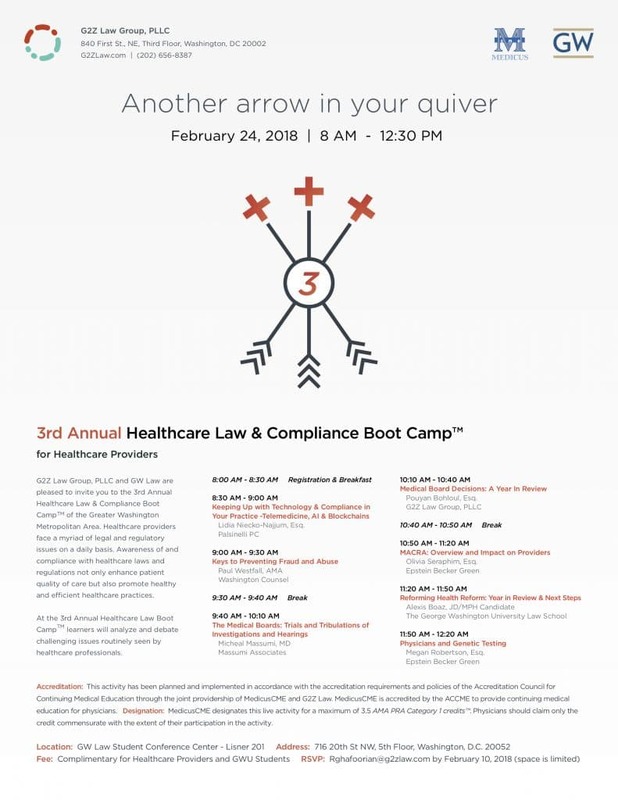 “G2Z Law Group, PLLC and GW Law are pleased to invite you to the 3rd Annual Healthcare Law & Compliance Boot CampTM of the Greater Washington Metropolitan Area. Healthcare providers face a myriad of legal and regulatory issues on a daily basis. Awareness of and compliance with healthcare laws and regulations not only enhance patient quality of care but also promote healthy and efficient healthcare practices.